Slim Neodymium design sound experience and easy installation - far beyond your expectations. The NF-6902 is your ultimate sound solution to premium full-fidelity world-class automotive sound systems. Introducing the most advanced design European quality ES-02 wide range mid-tweeter, available in polished or black anodized aluminum bezel. From the highest quality 38 mm mid-tweeter voice coil and carbon reinforced cone to the woven carbon fiber 6X9” woofer driver structure, this system sets the standard in modern design and classic quality. ES-02 earth magnets grace the handsome sculpted magnet structure not common on standard tweeters. ES-02 2” hybrid mid/tweeter incorporating a new parametric blend in an affordable package that puts, sweet midrange with incredible detail in your vehicle locations simply and easily. Suitable for enclosed or free air use in your vehicle, these hybrid drivers provide full, rich, extended midrange down to 150Hz up to a tweeter top end frequency of 20,000Hz. The engineering design goal for the NF-6902 system package. 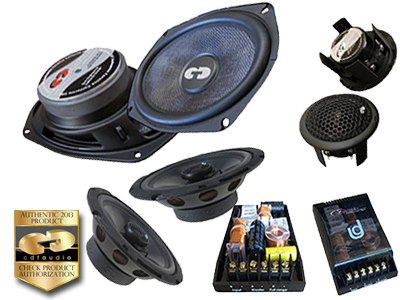 Deliver optimum sound quality with easy installation in your vehicle at an affordable price.